Now THAT is what I like to see landing on my doormat. A pretty blue tin filled with yummies which I can just throw together in a bowl and make me some shortbread. Yee ha. 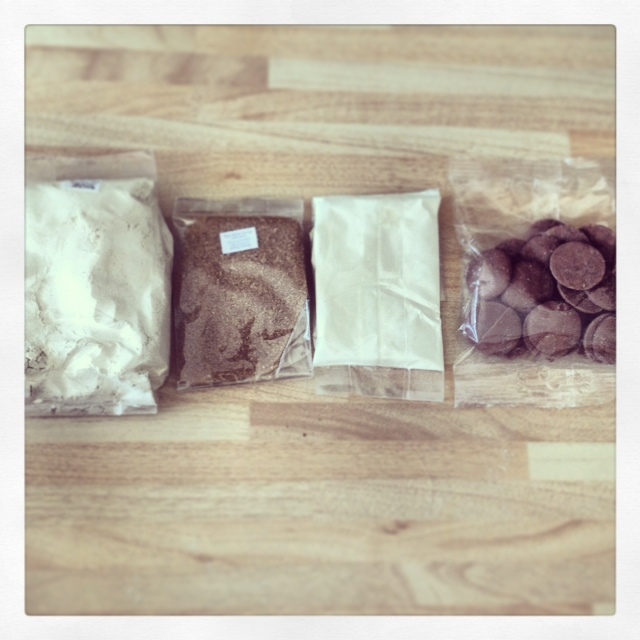 This baking kit is the brainchild of one Miss Suzy Pelta and is one of three you can choose from, including Mini Victoria Sponge, Brown Sugar Shortbread and Chocolate Sugar Scones. Yep. Yum. 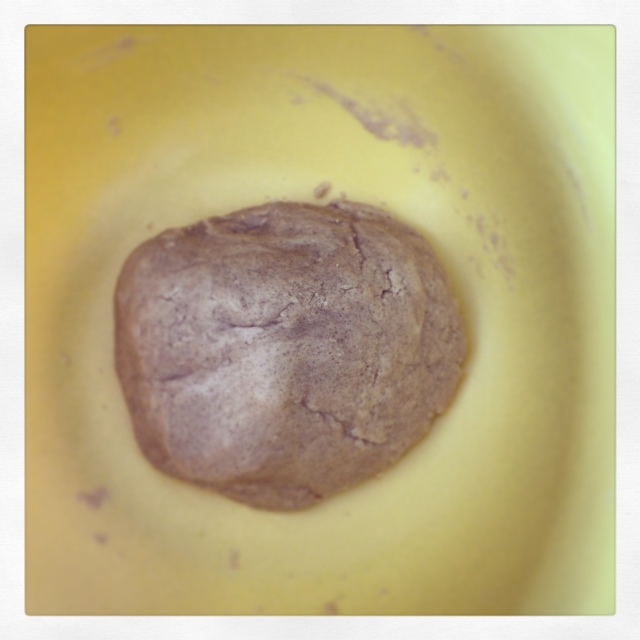 The first job was to cream together the butter and brown sugar. Now, I don’t have a cake mixer at the moment and so I do this by hand. It is HARD! Is it just me? Am I missing something? Seriously, I have to picture my grandma doing it so that I don’t give up and get the Dremmel out. If she could do it, I can do it. But, OW. And they tasted like shortbread! Really really REALLY delicious and very profesh. Not too sweet and perfectly balanced. I can say this without being show-offy as I can’t actually take any of the credit at all – it is all down to the kit. I just had to mix it together. 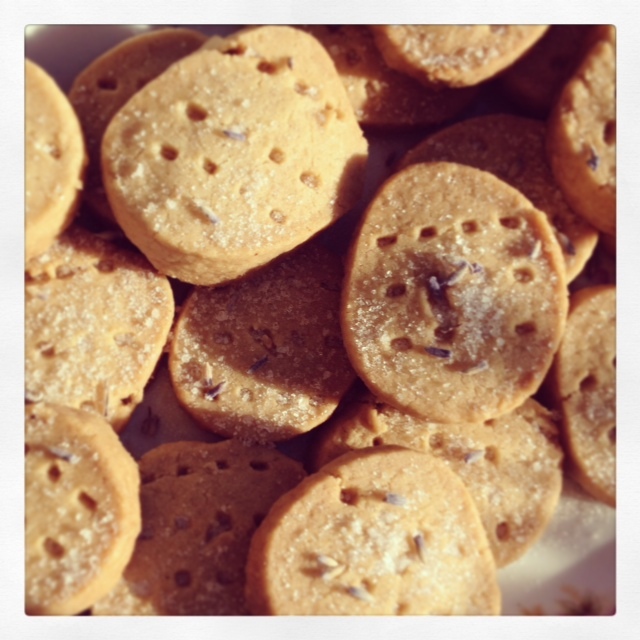 I sprinkled them with lavender sugar and popped then in my cookie tin. 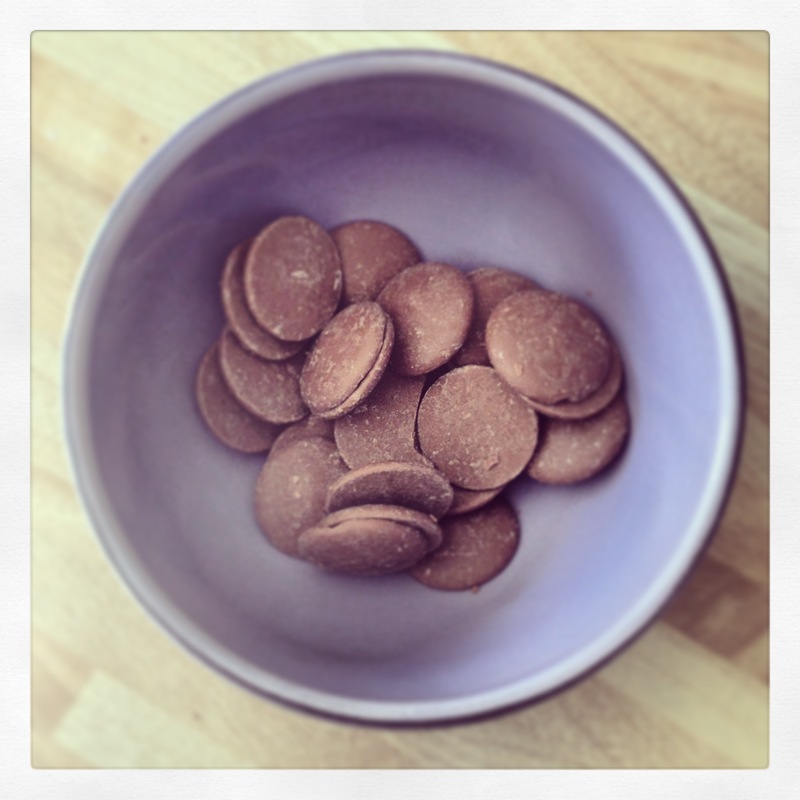 I made 26 pieces altogether and they’ve been a hit with everyone who’s popped in for tea. 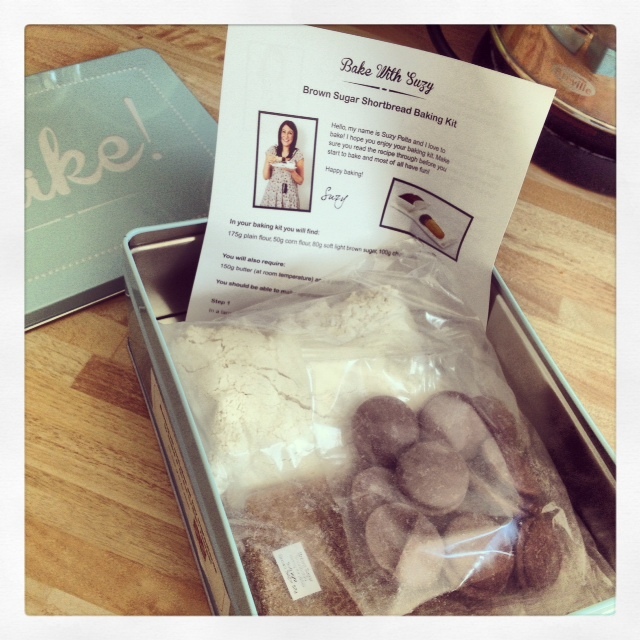 WIN a Suzy Pelta Baking Kit! All you have to do to win this super duper prize is one of the following, (the more you do the more chances you have.) Good luck! Don’t have a blog myself – but I love yours! There are so many lovely things all gathered into one fab place!! I’ve been following you on facebook, twitter and google+ for sometime. You have a lovely page full of things that interest me so I like to ‘pop in’ and ‘catch up’ with your latest updates. 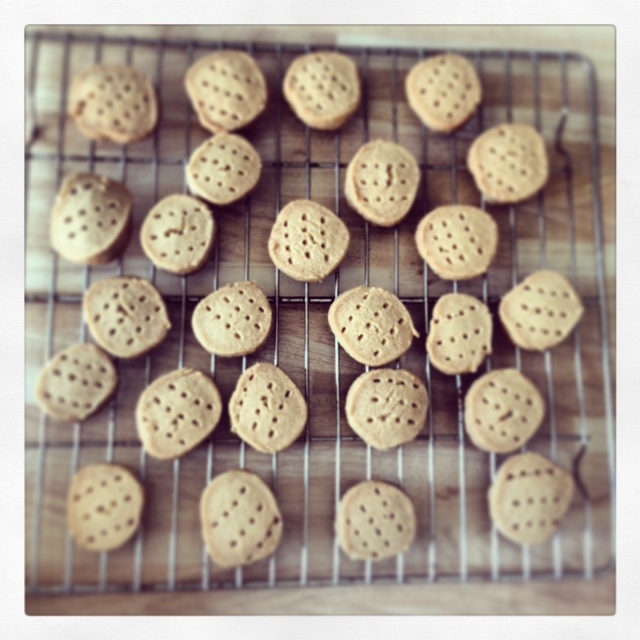 Baking is one of my hobbies too and these lovely shortbreads look to good to leave uneaten for long! My blog is here, not the most exciting, it is more to help me, but you are very welcome to have a look. loved your post on privacy and then I wished every blogger was like you, so that we could really judge by what they write and not by how they look… which really does affect our opinion. Anyway, thanks for the lovely giveaway. I entered. Have a blog, but not posting anymore. they look gorgeous i dont have a blog but shared on fb. looks tasty, making me hungry. Keep your fingers crossed John! I have not got a blog, sorry! 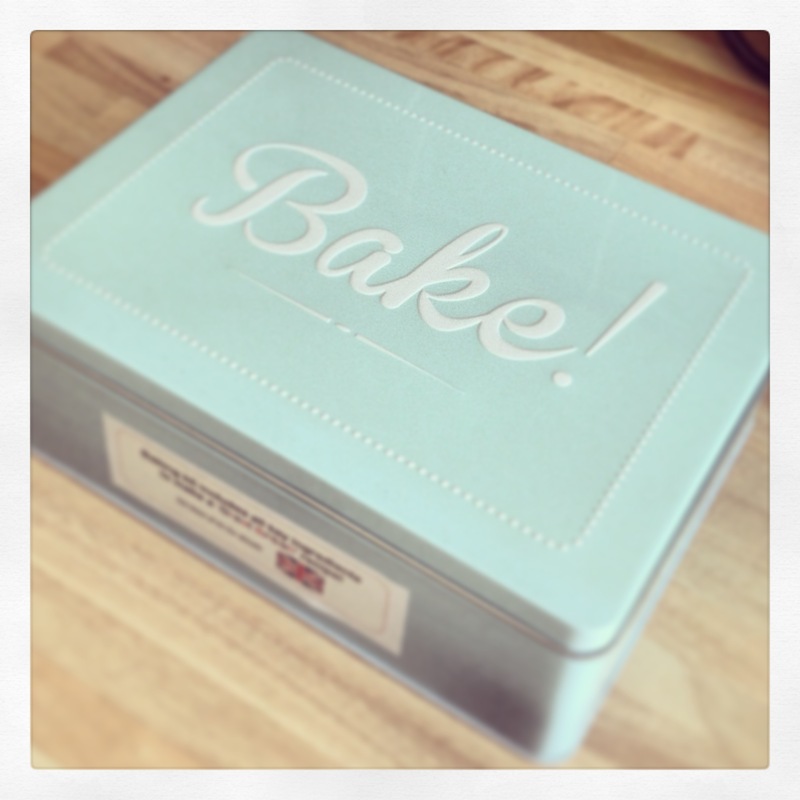 Lovely gift ideas or great for the ocassional bakers and a nice tin to keep all those bit and bobs in. These kits look great, would be great for baking with my toddler. I agree – they’d be perfect for cooking with toddlers! Wow! These are such a good idea. 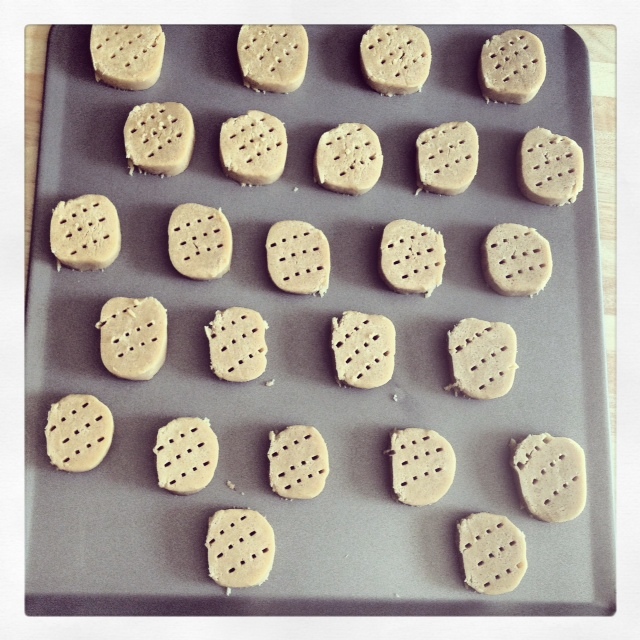 ♥ I love baking and shortbreads (the perfect mix). 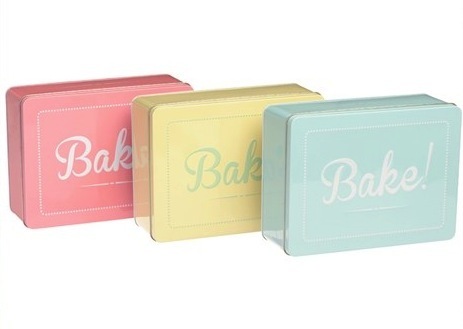 LOVE the tin LOVE the colours LOVE the idea of a cake/bikkie in a tin LOVE LOVE LOVE Poppy Loves.